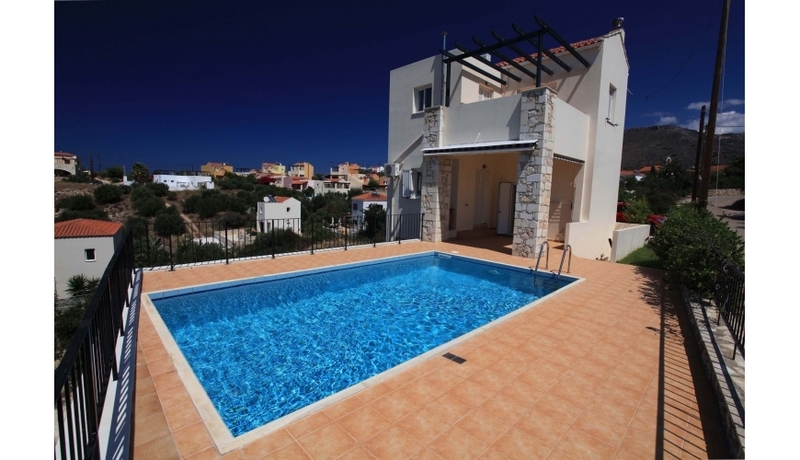 This is a high quality 3 bedroom stone villa with private pool, BBQ area, sun terraces and well landscaped gardens in the popular village of Kokkino Horio. 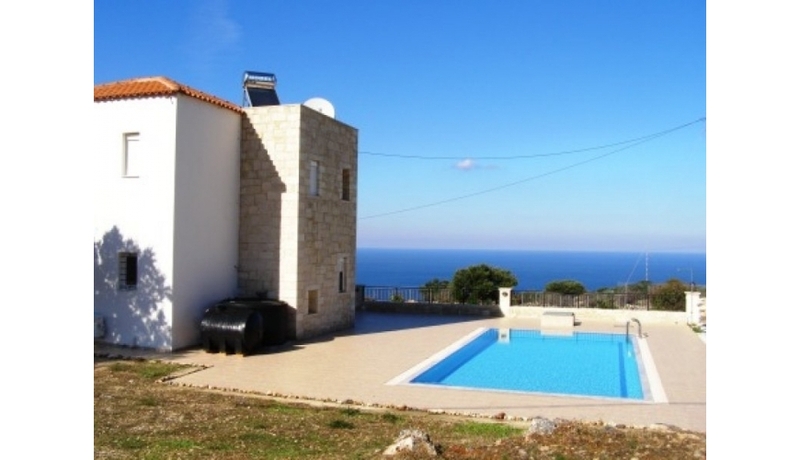 Built in 2006 it has panoramic Sea and Mountain Views and is currently run as a successful rental business with EOT licence and all equipment. 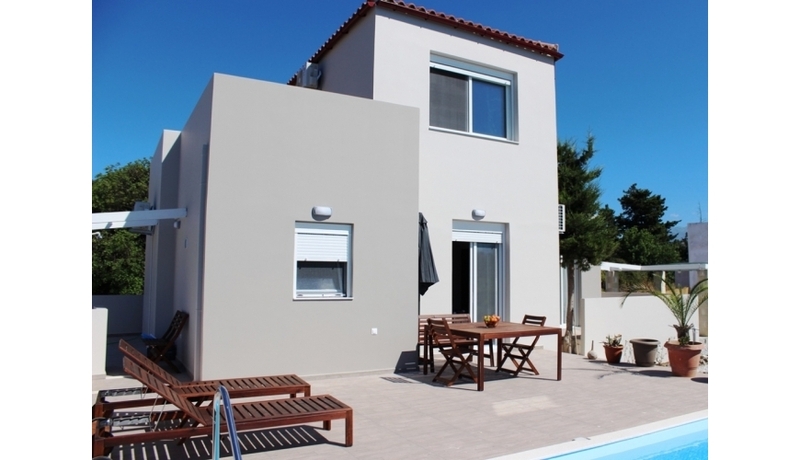 The villa is located in a secluded spot yet just 2 minutes from the taverna and supermarket of Kokkino Horio and a short drive to both the popular village of Plaka and the beach resort of Almyrida.It was completed in 2006. 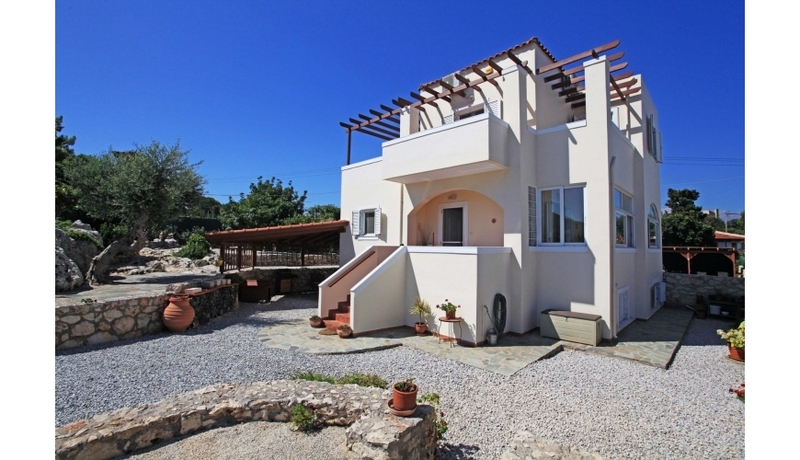 It is in a beautiful and peaceful location with panoramic sea views and wonderful sunsets over Souda Bay. 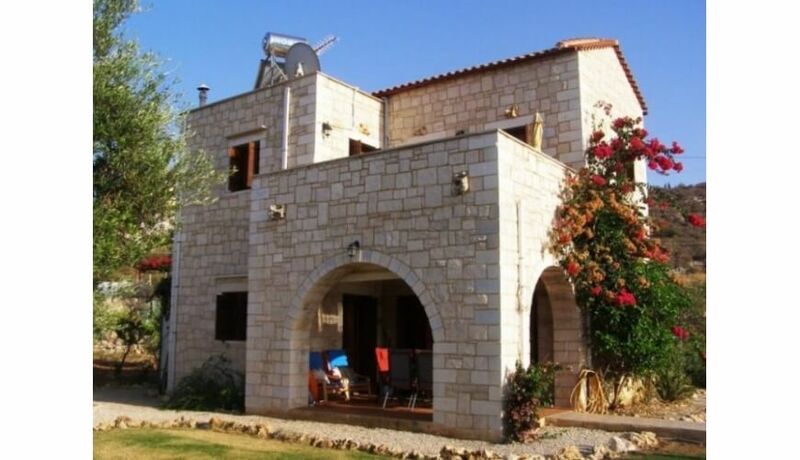 The villa is stone built with walls 50cm thick and with traditional stone archways and details, wood beamed ceilings, wooden windows and shutters. The interior of the villa is light, open and spacious. The ground floor is an open plan living space divided from the kitchen and dining area by a stunning feature stone arch. The fully fitted kitchen has all integrated appliances. Also on this floor , there is a good sized double bedroom and a shower room which also houses the washing machine. Patio doors lead from all areas to the shady side terrace—the perfect place for external dining. 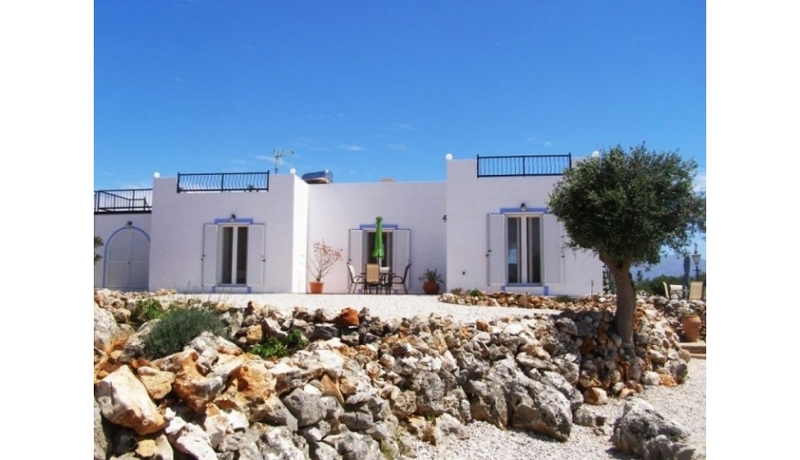 On the first floor there are a further 2 further double bedrooms and a bathroom with full bath. The bedrooms both lead onto the upper external balconies with great views overlooking the gardens and the pool. 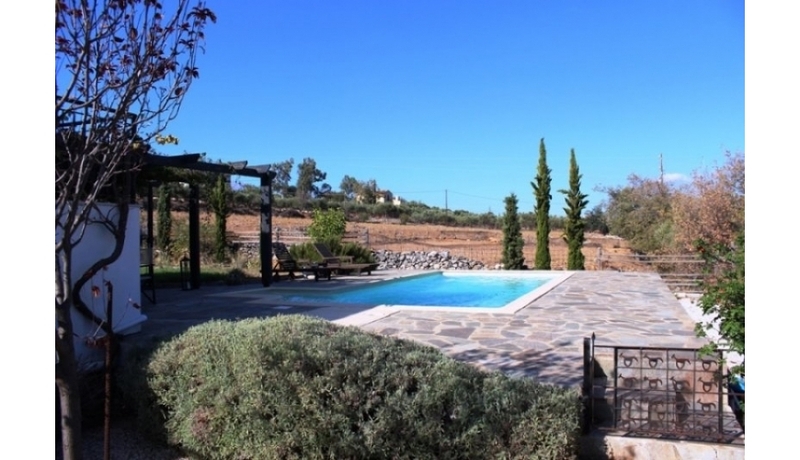 The external areas are very well laid out with the private pool with separate kids pool, expansive sun terraces, lawn areas, stone built BBQ and lots of mature trees, plants and flowers. What's the result of 5 times 2?